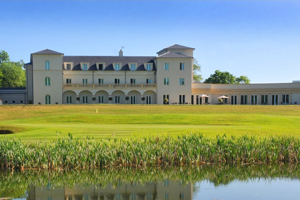 Quinta do Lago Resort in Portugal and the Bowood Hotel, Spa and Golf Resort in Wiltshire have appointed Perception Sales and Marketing to drive meetings and events business. Perception will be responsible for MICE sales representation throughout the UK for both properties, targeting both corporate and agency event planners. Quinta do Lago Resort is a 15-minute drive from Faro International Airport in the Algarve region of Portugal. Bowood Hotel, Spa and Golf Resort is situated in the 2,000 acre Bowood Estate, in Wiltshire and opened in 2009. Perception director Cath Couzens said: "We are delighted to be working with both Quinta do Lago and the Bowood Hotel, Spa & Golf Resort. Both properties offer outstanding hospitality to the conference and events organiser."